Aurora 17 is Sweden's largest defense exercise in decades and marks the debut of US tanks on Swedish soil. The event has stirred a sizzling debate and caused loud protests around the country. The Swedish Armed Forces has been caught red-handed to trying to sabotage one of these demonstrations using an online payment service. 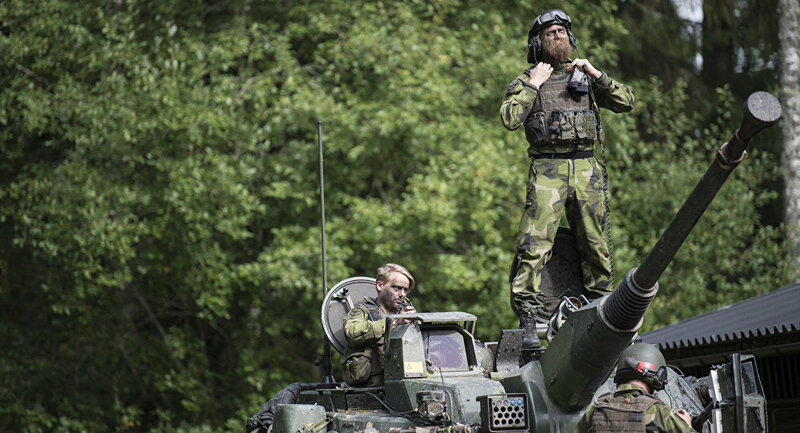 Dozens of employees at Sweden's Armed Forces and Home Guard were revealed to have participated in an attempt to counteract a demonstration against the controversial Aurora 17 exercise. The act of sabotage was carried out using the Swish payment service. Amid a series of protests by members of the peace movement and various political parties, the Left Party, the Feminist Initiative and a number of NGOs started a crowd-funding collection to stage a demonstration against Aurora 17. According to Sanna Ghotbi of the Feminist Initiative, the money was going to be used to print posters and pay for the participants' travel expenses, amongst other things. Shortly thereafter, however, a call was posted on Facebook to counteract the crowd-funding campaign. The post, which was spread among Swedish army staff, urged people to donate a single krona ($0.13) via Swish. Since a two-krona fee is charged automatically for every Swish transfer, this would be economically detrimental for the campaign, not to mention the psychological impact. According to Swedish national broadcaster SVT, of the hundreds of people who responded to the call, at least 20 were active soldiers or Home Guard personnel. Since many of the people had common Swedish surnames that are difficult to pinpoint, the actual number could have been significantly higher. The taunting transfers reportedly also included gibes such as "Idiots, open your eyes!" "Support Aurora and "Regards from a proud officer." "I just thought it was ironic. It was a fun thing via Facebook," an anonymous officer told SVT. Another one claimed to have sent the money as a private person rather than an active serviceman. According to the Armed Forces' Code of Conduct, all employees, including those of the Home Guard, must work to promote democracy, which raised concerns about a possible ethical lapse. An Armed Forces spokesperson told SVT that it was "not okay" to prevent other people from exercising their right to democratic expression. Sanna Ghotbi agreed that one-krona donations were rather symbolic, as a large extent of tampering was required to cause major damage, yet argued that it's not the money that mattered most. "It is undemocratic to try and stop a protest like this. We are peaceful and we just want to show that the exercise is terrible," Sanna Ghotbi said. She also added that the army should try and discourage its staff from similar behavior, disrupting the freedoms of speech and assembly. Nevertheless, some 30 organizations and parties demonstrated in Gothenburg against the ongoing military exercise Aurora 17. The demonstrators' list of requirements included the termination of the so-called Host Country Agreement with NATO, which many believe to draw non-aligned Sweden closer to becoming a NATO member, the Swedish newspaper Svenska Dagbladet reported. On Monday, about 25 people dressed up as clowns holding "Peace Starts Here" signs demonstrated against Aurora in Gothenburg. Police spokesman Hans Lippens admitted that the demonstration was not authorized, yet argued that they were allowed to remain as long as they did not violate the law. 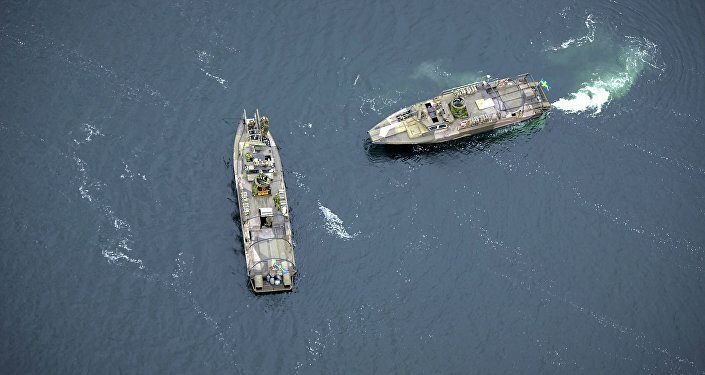 ​Aurora 17 cost Sweden's state coffers 580 million SEK ($73 million) and is the country's biggest operation in 23 years, where the army, the air force and the navy collaborate in a single drill. Apart from Swedish troops, it features hundreds of soldiers from the US, fellow Nordic and Baltic countries, as well as France. It is also the first time that US tanks have appeared on formerly neutral Swedish soil. For Sweden's part, Aurora 17 is accompanied by Northern Coasts, yet another international exercise in the Baltic Sea. ​The idea of both Aurora and Northern Coasts is to boost the Nordic country's defensive abilities against a fictitious enemy which bears striking similarities to Russia.